Bridget grew up playing soccer. Her sophomore year of high school, she tried cross country because she actually liked all the running she had to do for soccer. She never ran high school track, but decided to try to continue running in college at UGA, where she walked onto the team. Bridget ended up earning a full scholarship, qualified twice for NCAA's, competed at the 2011 USA Track and Field championships, and in 2010 was the 10,000m SEC champion. Bridget wanted to continue running after college, but also dreamed of a career in the medical field. So she went to dental school and she is, five years later, trying to run again and get back to championship level competitions. 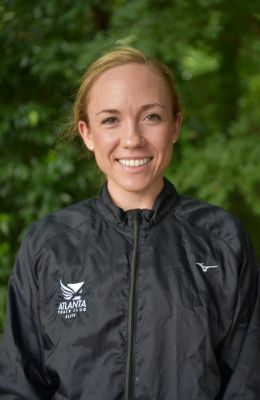 After qualifying for the 2020 Olympic Team Trials - Marathon, Bridget ran a 2:31:00 PR at the California International Marathon in late 2018.